The top 5 Windows Programs you should know about can help your experience with Windows greatly. Everyone wants free computer maintenance, but good help is hard to come by these days so why not do it yourself? If you want something done right do it yourself. This is a phrase commonly heard today and is no exception when dealing with Windows 7 or any version of Windows. Windows 7 is the user-friendliest operating system of all the Windows versions. Customizing it with utility software is a great choice to improve the overall experience. The top 5 Windows programs you should know about are extremely useful for all computer users regardless of experience. The first program is Fbackup. Fbackup is a utility program for Windows that performs basic data backup. This software comes Windows 7 ready and has a great user interface. Fbackup stores the selected data in external storage or it can be customized to backup data somewhere on the local network. Fbackup makes sure your data is backed up regularly and correctly. To top it all off Fbackup is free! 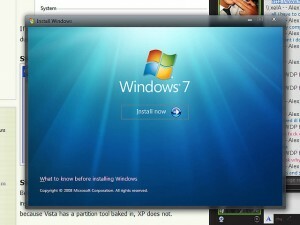 The second program of the top 5 Windows programs you should know about is the Windows 7 codec pack. This codec pack imports tons of codecs, filters, and splitters that Windows 7 cannot normally recognize. This is useful when trying to play a movie or listen to music. Download this and Windows 7 can open almost any media file. Some of the media types supported are AVI, MKV, MP4, OGM, MPG, VOB, FLV, TS, and many more. This download is free and is compatible with Windows 7. The fourth program is Primo PDF. Primo PDF allows for easy creation of PDF files as well as conversions. Simply select the file you desire to convert to PDF and drag drop it onto Primo PDF icon on the desktop. Software to do this is sold by Adobe but can become very expensive. This program is free and Windows 7 compatible. The last program that you should know about is Revo Uninstaller. Revo Uninstaller gets rid of those pesky programs that won’t be removed by a normal uninstall. Revo Uninstaller also has other features, which speed up the performance of the computer as well. This nifty program essentially performs free basic computer maintenance for the user. It is free and also Windows 7 compatible. Be sure to take advantage of the top 5 Windows programs you should know about. ‹ What Is Ready Boost?